Fish Go Deep return with the second EP from their acclaimed ‘Draw The Line’ album. 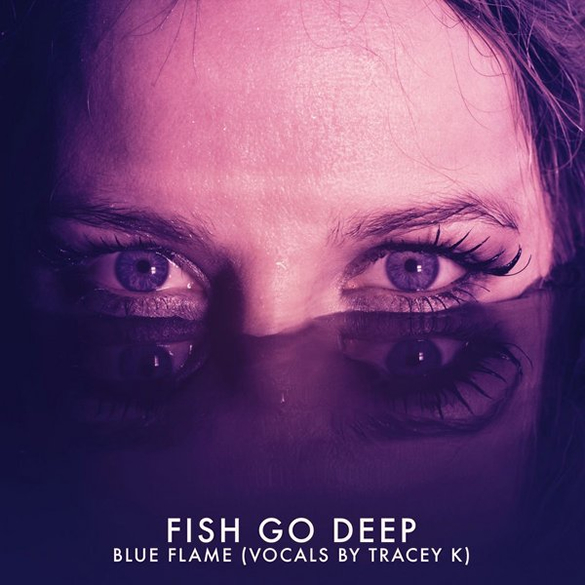 On ‘Blue Flame’, lyricist and vocalist Tracey K spins a soulful tale of lost love over an atmospheric synth and guitar led soundtrack. The song is backed up with a brand new dub version that plucks a couple of key vocal phrases from the original and weaves them into an intense dancefloor groove. Rounding off the EP is ‘Find A Way’, one of the hidden house gems on the album. A combination of loose, funky rhythms and soulful vocal samples have made it a crowd favourite in Fish Go Deep DJ sets throughout the summer. ‘Blue Flame’ (Vocals by Tracey K) is out now on Go Deep.